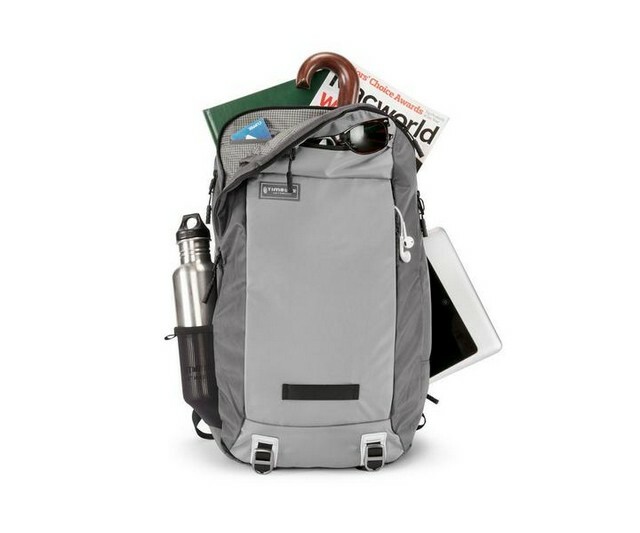 Timbuk2 Command Backpack Review: A Great TSA-Friendly Laptop Bag! Timbuk2 Command Backpack: Check the latest price on Amazon. The Timbuk2 Command is a well priced mid-sized carry-on TSA-Friendly laptop backpack. It is tailored especially for the frequent flyer add to that a lifetime warranty and you’re looking at a really great option for budget travelers looking for a good durable and economical carry-on. The Timbuk2 Command is a TSA-friendly laptop backpack that’s inspired by Timbuk2’s Command laptop messenger (for business travel). The overall feel of the backpack is quite minimalistic with an emphasis on utilities. 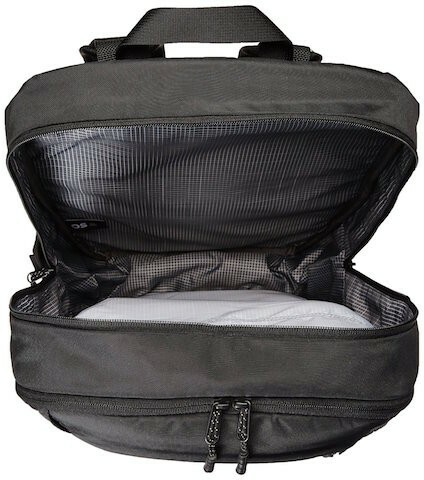 The sole purpose of the Timbuk2 is to make business travel easier. Who is the Timbuk2 Command best suited for? The Timbuk2 Command Backpack is best suited for frequent flyers/professionals that need a versatile semi-casual backpack for work/travel purpose and something that will work as a daily backpack. If you’re into functional products you will love this backpack as it’s really digging a cool minimalist look with a simple utility feel. The size works well for females and for smaller guys. Who is the Timbuk2 Command Backpack NOT suited for? If you’re ba ig tall guy/girl this backpack will feel a tad bit too small for you. Also if you’re looking for something stylish or something with style points or something for a formal setting this isn’t the bag for you. Is the Timbuk2 Command Backpack worth it? 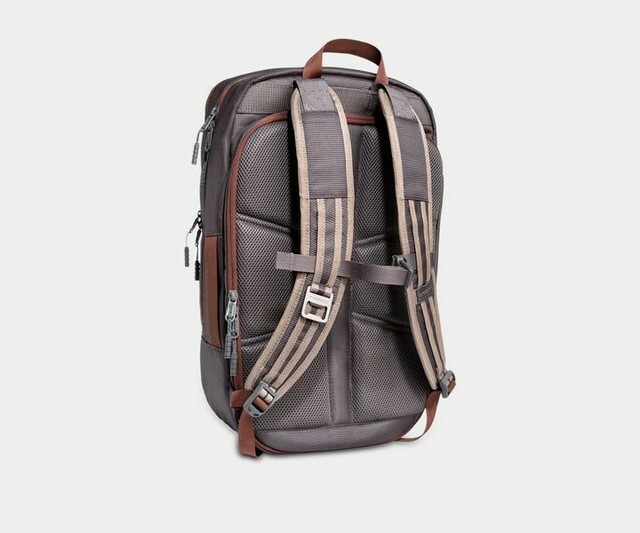 The bottom line is that if you’re looking for something that’s good for an overnight business trip or a short getaway (2-3 days if you pack light) then this backpack should work perfectly for that. Timbuk2 is a San Francisco-based company that makes backpacks whose purpose is “urban Progress by design”. This company does things a little different from a typical business and keeps its manufacturing local to help the community. All Timbuk2’s products follow the TIMBUK2 Life Cycle meaning although they are built to last a lifetime the company will support them throughout their complete lifecycle up till a point where it’s time to recycle! 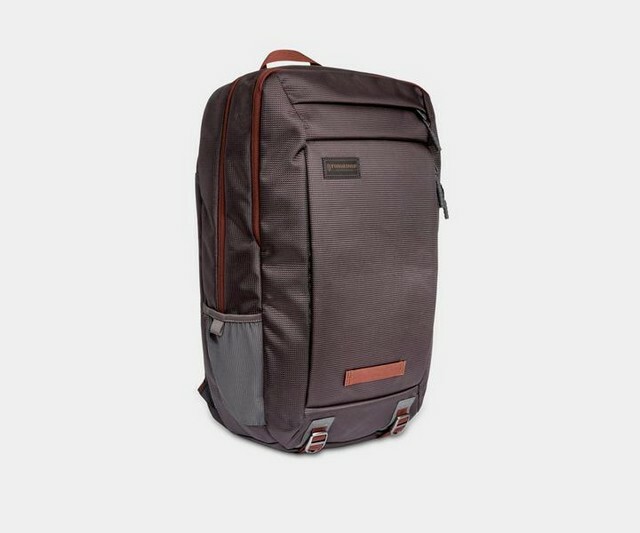 The products are backpack by lifetime warranty meaning you can repair the backpack and replace it with spare parts free of charge by the Timbuk2’s dedicated repair team in San Francisco. When you’ve fully used up your Timbuk2 product you can hand it over to them and they will recycle and donate it to their non-profit partners. Overall I find their story genuine and am in full support of it and while which may not be a direct benefit you are definitely supporting a good cause by getting a Timbuk2 product. Better products. Better communities. Better cities. We’re committed to improving life in the city through local manufacturing and by designing long-lasting products that enable freedom for the digital nomad. WHat is Timbuk2 Command made of and how is its Construction? Timbuk2 Command Backpack is a great backpack that’s constructed using yokeless straps just like GORUCK. These straps can also be adjusted to match your shoulder width. Overall the construction is a standard plastic hardware and the material used is a mid denier nylon that gives a neat shiny look to the backpack. How does the Timbuk2 Command look aka Aesthetics? The Timbuk2 Command Backpack is meant to be used as a daily backpack which is why it’s more compact and smaller in size which is fine if you’re a smaller person however not so much if you’re a taller/bigger homo sapien. The mid denier nylon gives the backpack a nice shiny synthetic feel meaning it will stay neat and clean however won’t win any brownie points for looks. It’s not the best to be paired with a suit or sharp clothing but great for casual business meetings and professional meetups. How are the External Components? Timbuk2 Command Backpack has quite a bit of external features with an emphasis on keeping things simple but at the same time functional for work-related utilities. There is a vertical slash pock on the front for quick-access small items or larger vertical items like a tablet or book. The back of the backpack is a nice wide air channel running straight down the middle with some smaller shallow channels across both sides that’s great for good ventilation and comfort. There is a small side handle if you want to carry it like a briefcase however you cannot get rid of the straps so they may dangle down a bit. Another highly sought out features is the TSA friendly laptop section of the bag that you can simply flip out and run through airport security. This saves a lot of time and hassle as it’s a real pain having to stuff the laptop back into the backpack after taking it out. There is also a thin external pocket on the back of the backpack to put in your tablet or a 15” laptop. This is great as it keeps you from slouching whilst walking and also makes it harder for someone to steal your laptop/tablet without you noticing. This is a standard sternum strap embedded with a plastic buckle that lets you adjust the width and height. What about the Internal Components? The internal organization of the Timbuk2 Command Backpack is quite neat it splits up into a couple of volumes with the main section for clothes in the center. Pro tip: Since there are no compression straps it’s best to get a packing cube else your clothes will float around. At a 32L capacity, the main compartment is big enough to fit a couple of books, notebooks, sneakers and clothes basically everything you’ll need for a day or two of travel. The zippers also go all the way down to the size so you can really open it wide making it easy to access your stuff. There is quite a bit of organization for the backpack with the secondary compartment on the inside of the command specifically for your work tools like organizers, pens. It even has small pockets from a sunglass pocket to a side quick-stash pocket that’s useful when you’re running through security. How durable is the Timbuk2 Command Backpack? The Timbuk2 Command is made of mid denier nylon on the exterior. The polyester is mid-weight and made of 400D but this won’t be as strong as something that’s made of 400D nylon. The insides of the pockets are lined with a thin nylon layer. When it comes to durability the Timbuk2 Command Backpack is quite average moreover because it’s mainly made for work and short (2-3 day) trips. However, the lifetime warranty is definitely going to come in handy. The Timbuk2 Command Backpack is a decent utility backpack meant for the frequent flyer crowd moreover it’s not going to break the bank and it’s got features that will compliment your short travel needs quite well. 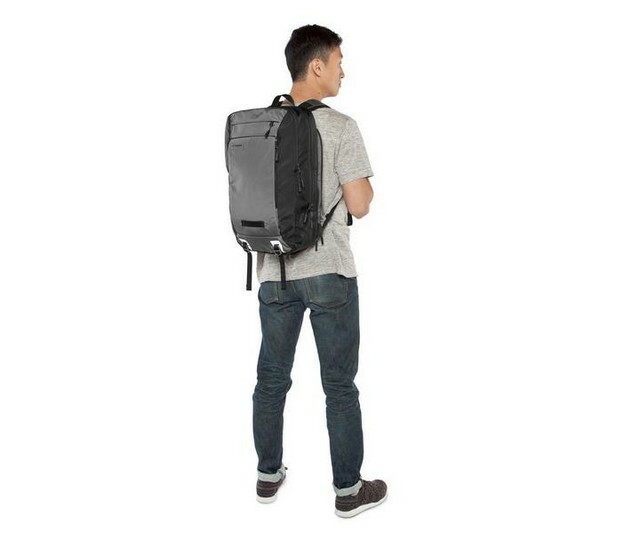 On the whole, the Timbuk2 Command Backpack is a great everyday carry and travel carry-on backpack sure there are a few design changes that would make it better but it is reliable and economical enough to fit everything you need to carry on any typical day.